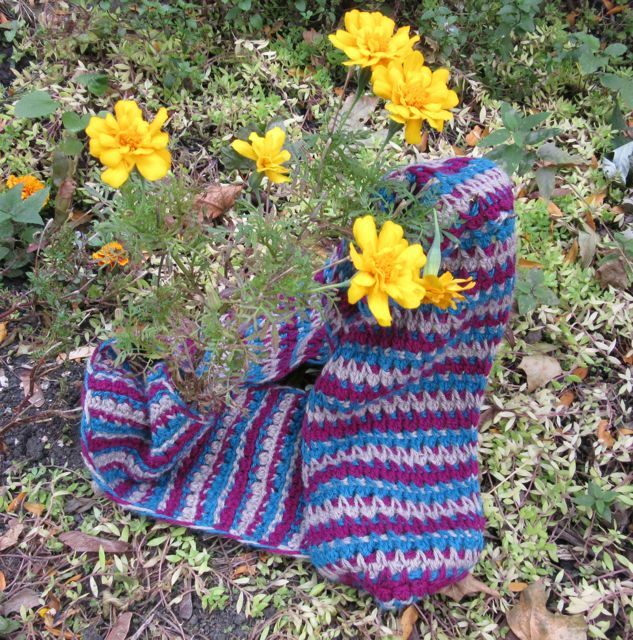 Just in time for fall I have designed a new Tunisian Crochet pattern, the TriTone Tunisian Cowl. 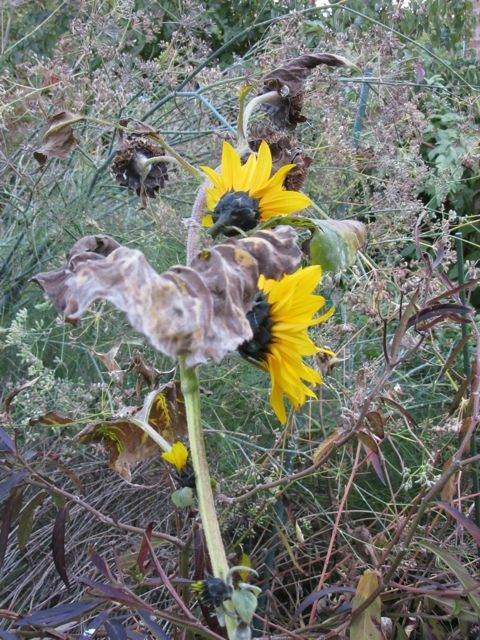 Since we still have a few flowers along with the fall leaves I thought I’d go to our front yard for some photos. The pattern is available for sale on Ravelry here. 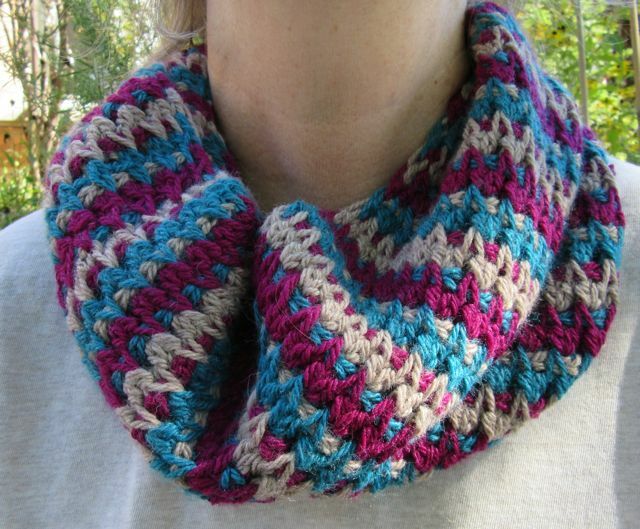 The cowl above was made using three colors of Cascade 220 Worsted weight yarn. I used less than 50 grams of each color to make it. For more details on the colors used and Tunisian hook size see my Ravelry project page. For the version above I used 3 colors of Berocco Vintage DK, again using less than 50 grams of each color. 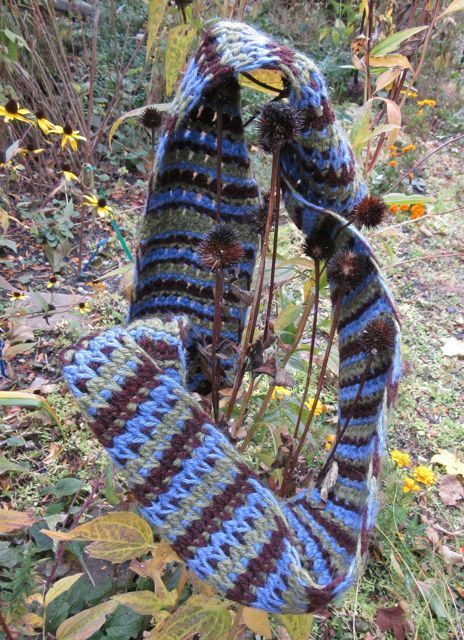 This would be a good project to use up your leftover yarn. For details on the colorways and Tunisian hook used see my Ravelry project page. A photo among the Echinacea seed heads. The goldfinches are particularly fond of these seeds so I leave them for the birds. Here’s how it looks when worn. I’m writing this post as part of the Hookin’ on Hump day link party on Moogly’s blog. You might want to see what other people are posting there. Fall, old and new together. 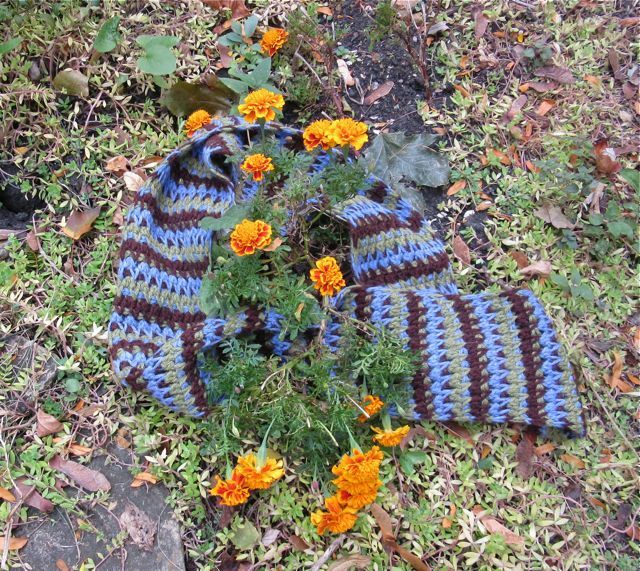 Perhaps these colors might inspire a fall project…. This entry was posted in original pattern designs and tagged crochet, fall, hookin on hump day, pattern, tunisian crochet. Bookmark the permalink.